Best spots for Shad Fishing on Sacramento, when fish arrive, what are the water flow condition. Includes fishing Map on best fishing spots and when, where, how to find shad. 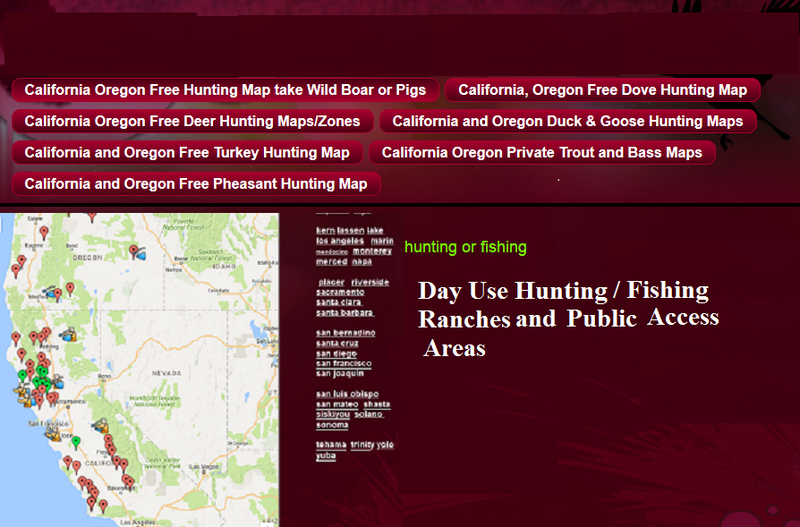 Also Public Land Hunting and fishing information. Click on our links below to get access to Hunting Clubs and Private ranches for fishing and hunting. Where to fish for Shad on the Sacramento River. We list the best spots to catch shad. marked by a burnt-out service station. .
Highway 45 just north of Glenn. quarter-mile below Hawaiian Gardens reservoir. from Highway 45 by turning toward the river on the main intersection in Ordbend. miles south of Hamilton City off Highway 45. Tehama Bridge. Tehama Bridge is located south of Los Molinas at Tehama. Bryne before road's end. Good only if water is down. Towards the middle of May the shad are in the valley rivers. The shad run will be in full swing by Memorial Day weekend, through most of June and there will be fish in the valley river systems until September. Typically shad move into the lower Sacramento in April but do not move up above the Freeport reach until the raised water flows. The problem in recent years is the low water flow. Shad do not do well moving up river at vertical drops. They tend to stack up below fish ladders and other similar obstacles. The conclusion is that due to low water, the base of rapids will produce most of the local shad action. A general rule is that in low water years the Sacramento River will get the bulk of the run. The fishing will be slow on the Yuba or the Feather near Oroville, unless Feather River flows increase. As always if you go out to fish for shad be prepared with a number of alternate destinations in mind.